Explore custom glass glazing products and glass glazing materials with the Frank Lowe manufacturing team. Contact us today for glazing product assistance. At Frank Lowe, we’ve specialized in offering high-quality glass glazing products since 1955. We offer a vast range of solutions, setting blocks, shims, separator pads, gaskets, and much more. Our experts offer a vast expanse of knowledge about all of our products and can help guide you toward the best glazing product solution. When you’re looking for quality glazing products, trust the experts at Frank Lowe. We understand that everyone’s needs and goals are different. Because of this, we offer several professional-grade glazing products designed to empower you to create better products. 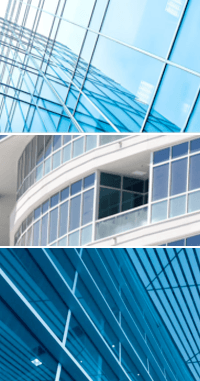 For our full list of products for glass and glazing industry, visit our fenestration products page. If you don't see exactly what you're looking for, simply reach out to us for a custom solution. Explore all of your options — even ones you may have never considered — to ensure you're using the best glass and glazing product for the specific application. Pursue all viable solutions with comprehensive cost-benefit analysis so you can see the bigger picture. Create the best custom glass and glazing solution for your application. Regardless of whether you're just getting started in the industry or if you've been around for as long as we have, the Frank Lowe team will meet your needs and exceed your expectations. Even if you didn't see the product you're looking for, just ask and we'll provide. Let's talk. We're ready to listen. Contact the premier team of glass & glazing product experts at Frank Lowe today. Not sure about the exact materials or specs required for your glass & glazing application? Let's chat. We'll help you find the right solution. Are You Using The Right Materials For Your Glass & Glazing Product Application? Let's talk. We'll help you choose the right materials for your glass & glazing product application.